Beech Tree Trading, LLC was founded by Christine Gable in 2012. A Lancaster County native, Christine is passionate about the hardworking people and companies in her hometown that offer one-of-a-kind goods. When her business was invited to participate in Amazon’s Fulfillment by Amazon program, she tested and launched some of her favorite local products first. As sales volume increased, she hired her first employees, her son Adrian and daughter Jacqueline, and their dedication to efficiency spurred continual growth. In 2017, the company outgrew its initial basement start-up space and moved to a commercial warehouse at Burle Business Park. Today the company offers services to help companies sell their products on Amazon. Everyone who works at Beech Tree Trading recognizes and honors the work ethic that goes into building a company with a respected brand name. The team values authenticity and is committed to the best in customer service. 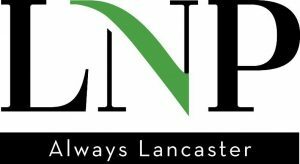 We invest in the Lancaster Chamber of Commerce & Industry and actively connect with the wider community to help create a better place for everyone to live and work. Read about Beech Tree Trading in the news!